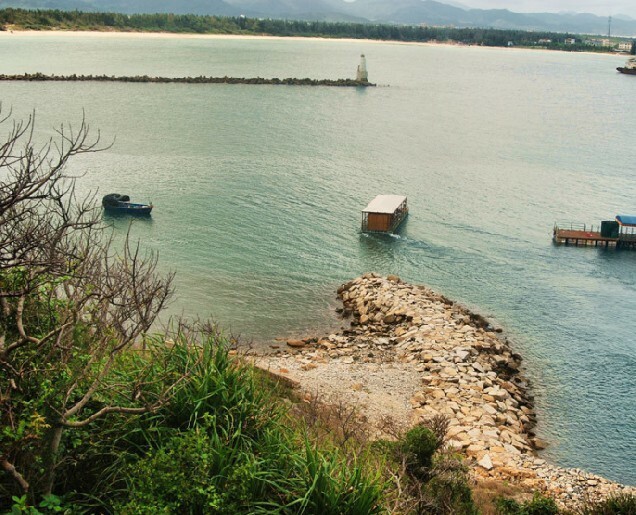 Wuzhizhou Island (wú zhī zhōu dǎo 蜈支洲岛) is located about 30 kilometers northeast of Sanya City (sān yà shì 三亚市). 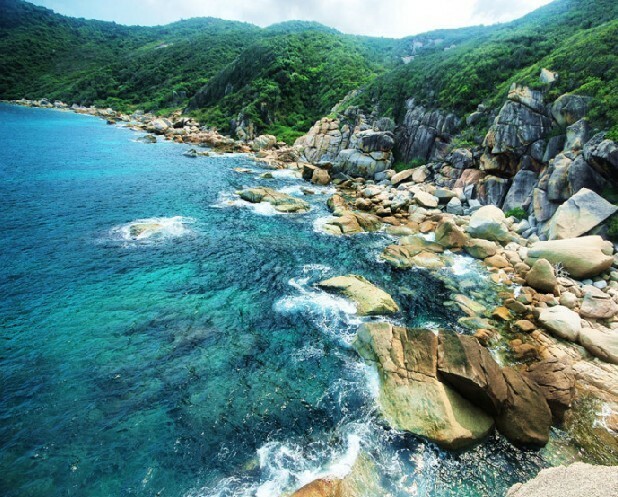 The island is with an irregular butterfly-like shape and coastline of 5.7 kilometers, covering an area of 1480 square kilometers. As the island is in a tropical marine zone, the climate is temperate and pleasant all the year round. It is an ideal place for vacation, winter swimming as well as entertainment. On the east, south and west part of the island, there are luxurious vegetations, while on the part near the sea, including the dracaena, which is oldest species among all the plants on the earth. Near the sea, there are the lofty cliffs, sticking into the sea. 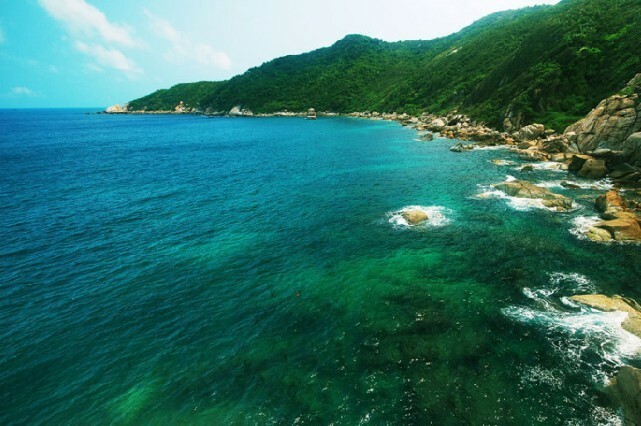 On the north part of the sea, there is the white sand beach, like a jade belt stretching far away. The sea around the island is clean and clear, the visibility is 6 to 27 meters. In the sea water, there are the lobsters, sea cucumbers, sea chestnuts, and the colorful tropical fish. In the water area of the south part, there are the well-preserved coral reefs. 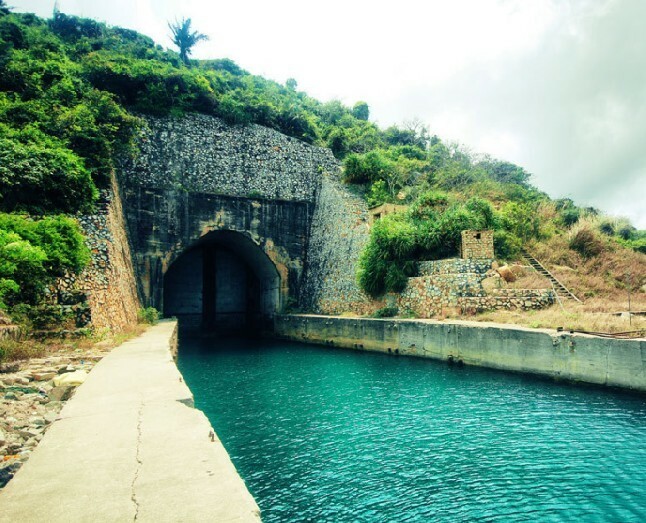 With no rock and the cobbles, it is the best diving base within China. Looking far into distance, the sea melted into sky along the horizon. Mazu Temple was originally constructed in the Qing Dynasty (qīng cháo 清朝). It was used to commemorate the creator of Chinese character Cang Jie (cāng jié 仓颉). 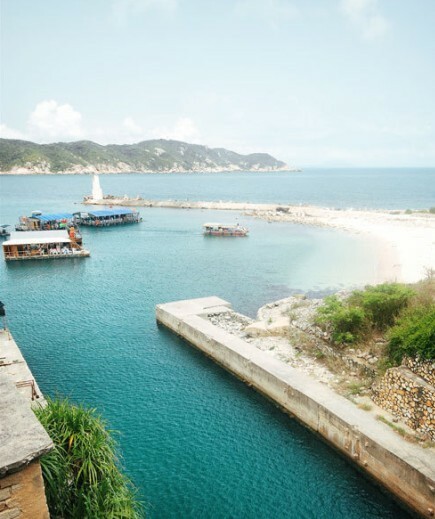 After the downfall of the Qing government, the fishermen rebuilt the temple dedicate to Mazu who is the goddess of the sea. Guanri Rock is located on the cliff in the southeast of the island. 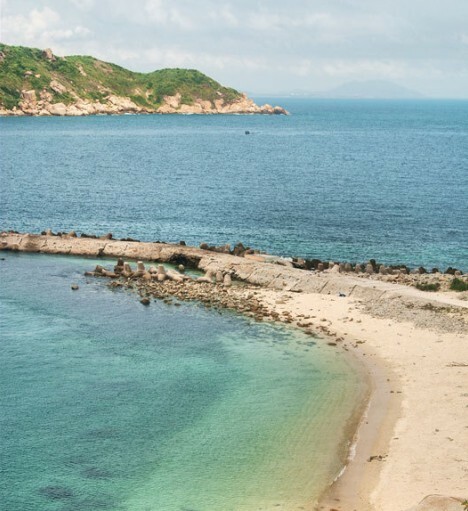 Standing on the rock, you can get a bird’s view of the whole island and the South China Sea. 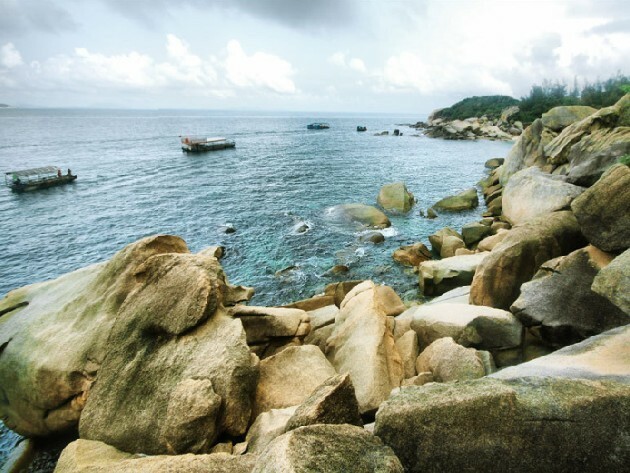 The Guanri Rock is like a natural stone Buddha facing to the sea. It is also like a huge turtle crawling to the vast ocean. The rock is an ideal place for you to enjoy the sunrise. On the west of Wuzhizhou Island, there is a wooden corridor and a flat. You can walking along corridor and enjoy the scene of the clean sea water. If you are lucky enough, you will come across crowds of the tropical fish. You also will see the crabs moving on the rocks. 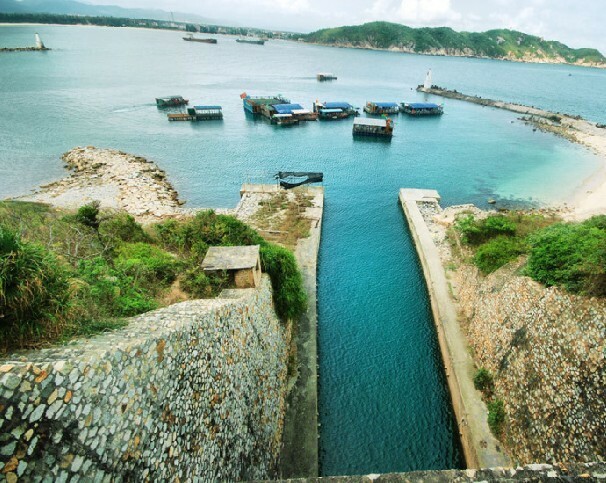 Transportation: you can take a taxi to Wuzhizhou Port and then take a ship to Wuzhizhou Island. Tips: The last ship that take you to the island is at 4:00 a.m., and the last ship take you leave the island is at 5:00 p.m.. If you have not booked a hotel on the island, please don’t forget the deadline.